Like a beacon of safety to guide individuals through life’s storms, The Blackberry Center’s Adult Psychiatric Program provides intensive treatment for individuals dealing with medical, emotional and psychiatric issues in a safe and secure setting. Under the supervision of a psychiatric team made up of a psychiatrist, social workers, therapists, nurses and other unit staff, patients are assisted in identifying the sources of their psychological issues that are impairing the individuals ability to function. 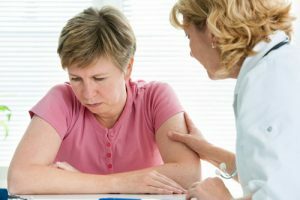 The treatment is intensive and therapeutically focused, aimed at moving the individual from an inpatient setting to partial hospitalization or outpatient therapy as quickly as possible. The Blackberry Center’s Adult Program provides the highest quality assessment, diagnosis, stabilization and treatment for adults with acute psychiatric issues which require inpatient or partial hospitalization. Treatment is provided for our patients with kindness, empathy, dignity and respect at all levels in the continuum of care in order to maximize the individual’s ability to achieve successful mental and emotional health.